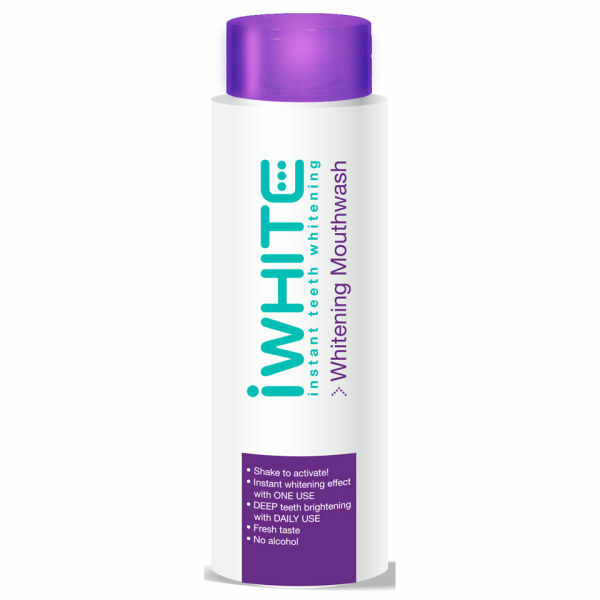 The iWhite Instant Teeth Whitening Mouthwash boasts a unique and effective formula which works to remove plaque, whiten the teeth and prevent plaque from forming again in the mouth. Containing fluoride to strengthen the tooth's enamel, in addition to blue covarine to give immediate whitening results, this mouthwash is perfect for daily use after brushing the teeth. K.D.